Why do You Love Ultima and What Makes an Ultima? 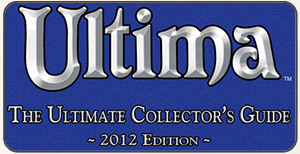 I think a thread should be started where we can all tell stories about why we love Ultima. Testimonials, basically, so we can gain greater insight into each other’s understanding and perception of the series, and perhaps in some way begin to understand what we as a collective define Ultima to be. Good idea or nay? It’s been touched on here and there, myself included, but I’d love to see everyone’s experiences in one place. It’d be hella inspirational and maybe bring us together a bit more. This is a very fractured community at times. If you’re not registered (how come?) and would like to contribute, send me your thoughts via the contact form and I will figure out how to post them under your name. 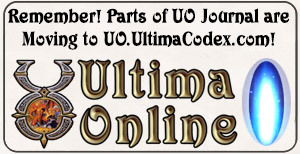 While Ultima Online has diverged from the original Ultima series a great deal, there have been efforts to bring the original Ultima stories and lore back into UO, and some of those efforts continue up through today, as we look towards the expansion of the Ter Mur storyline from the Stygian Abyss expansion. If you have some thoughts and time, head over there and post them. Even though it’s been many years since we’ve had a true stand-alone Ultima game, if you look through the Ultima Aiera site, you’ll find that people are just as passionate about it today as they were two decades ago, with fan remakes and updates still coming out.